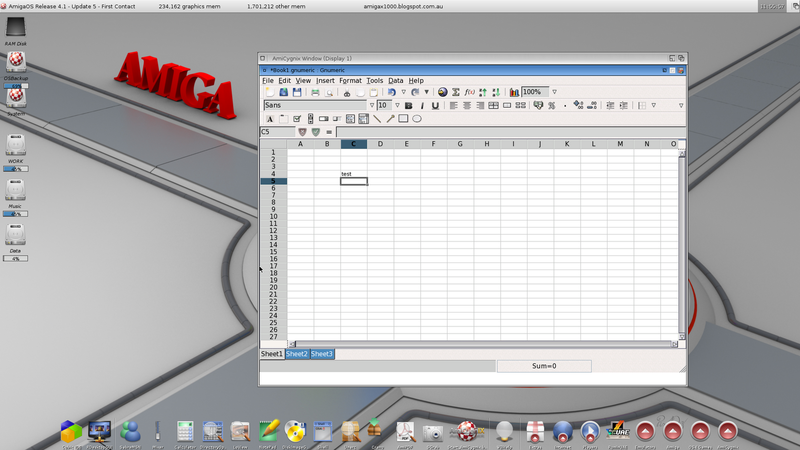 As a follow up to my original AmiCygnix blog post, I wanted to show the new feature of AmiCygnix v1.1 to run AmiCygnix applications standalone. 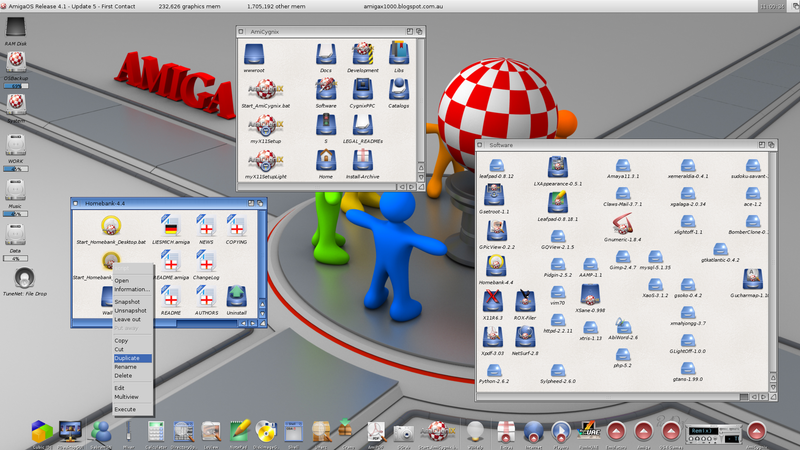 This mode runs the applications as a normal windowed application within AmigaOS4 on the AmigaOne X1000. I was excited to try this feature out! 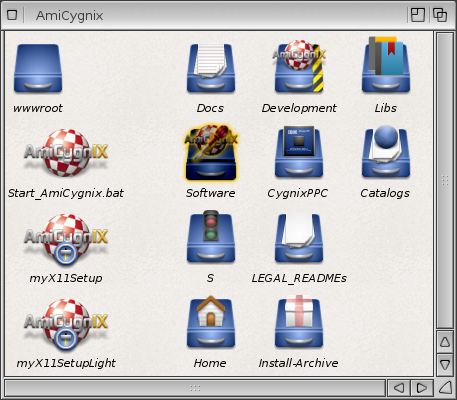 Please note that only a few AmiCygnix applications so far have been updated (and made available on os4depot.net) to have launch scripts for the standalone mode. More applications will be updated with this in the future I am sure. 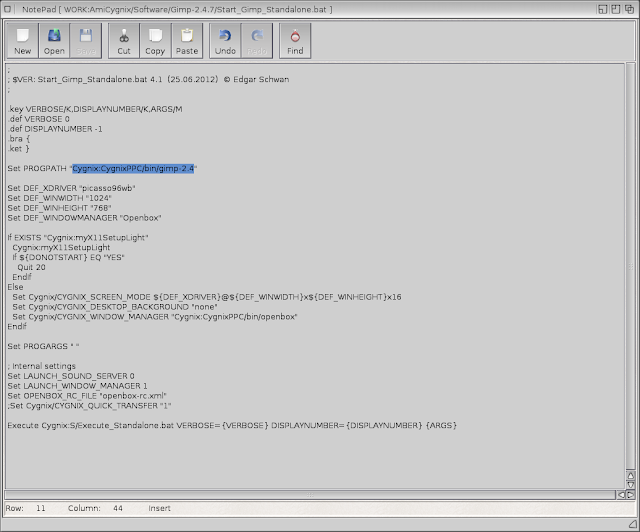 The good news is that you can also make standalone launch scripts yourself for your other AmiCygnix applications that don't yet have a standalone launcher - I will show you how a bit later in this blog entry. I am not sure if there is a limit on how many AmiCygnix windows you can have open at once, but 4 works fine! 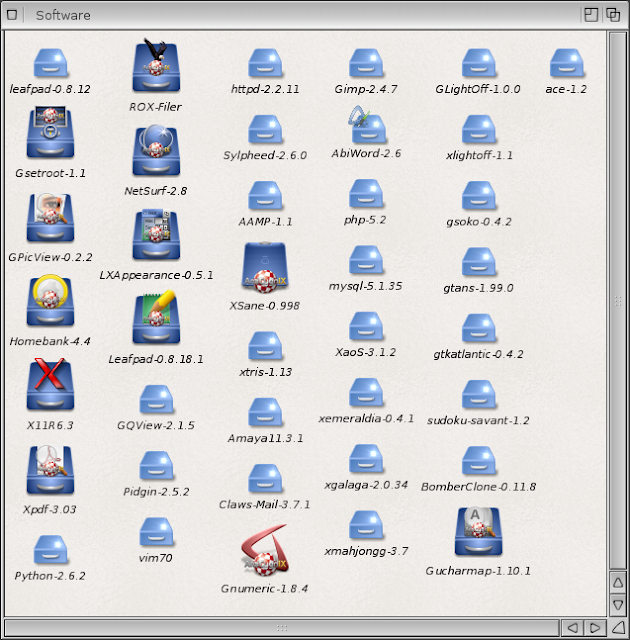 There are two programs of interested here Start_Homebank_Desktop.bat and Start_Homebank_Standalone.bat. 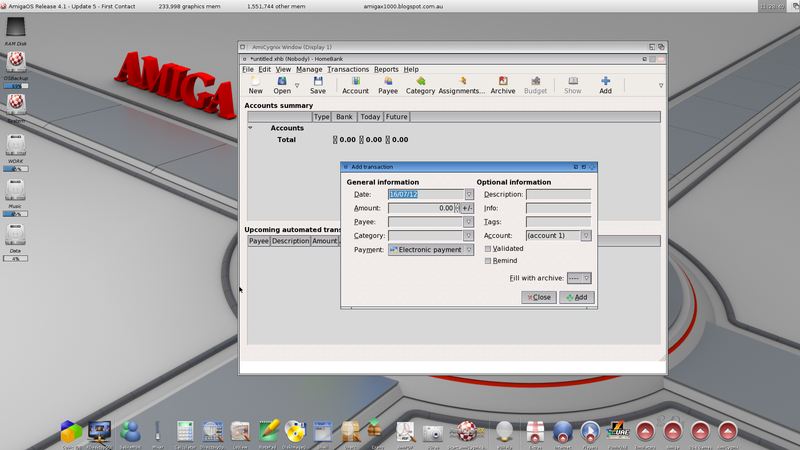 Start_Homebank_Desktop.bat runs the application within Amicygnix on it's own separate screen to AmigaOS4. You can also run Amicygnix desktop and then run it from within AmiCygnix. Start_Homebank_Standalone.bat runs the application within a window under AmigaOS4. 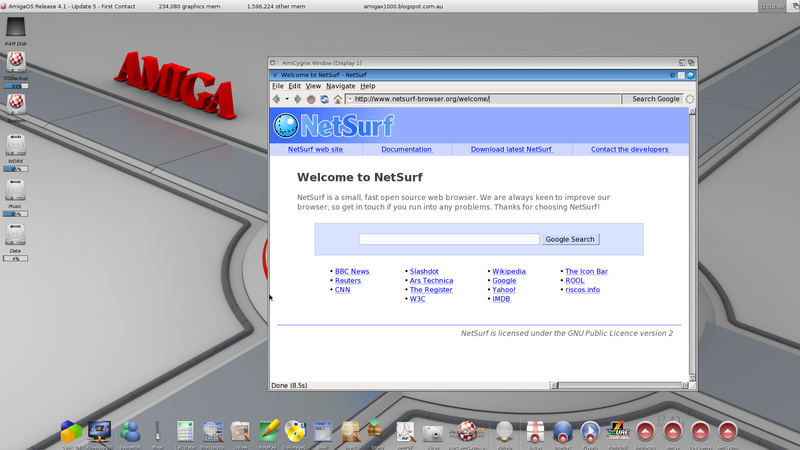 In reality the application is still running within AmiCygnix, just in a windowed mode. This allows you to run Amicygnix applications on the standard AmigaOS4 desktop on your X1000! I like this feature because for me it is easier to work with one desktop than two desktops hidden one behind the other. I know other people may prefer the multi desktop environment and that is ok - you can run it either way! So to start with I recommend choosing your preferred window size (I normally use 1024x768 but there are some exceptions like GIMP which needs more space), leave the No longer display setting window unchecked and then click Save. If you are happy with the window size, the next time you launch the application you can click the No longer display setting window option and after clicking Save it will no longer prompt you for the window size. 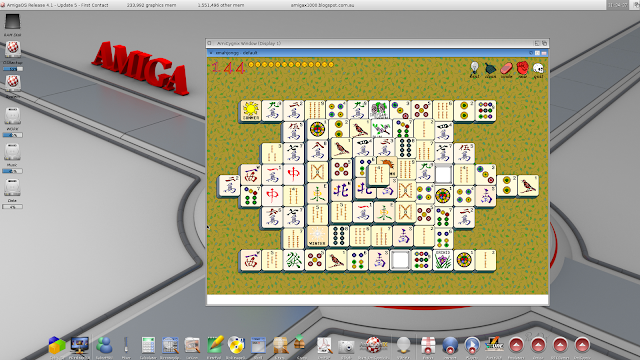 Here now are some screenshots of various AmiCygnix applications running in standalone mode under AmigaOS4 on the X1000! All these programs are available to download from os4depot.net. As always, please click to expand the screenshots for a closer look! From my limited testing Amicygnix programs seem to run fine in the standalone mode. Please keep in mind that applications launch Amicygnix in the background first and then run the application. So there is a delay of a 5-15 seconds while launching applications depending on how big the program is - eg. 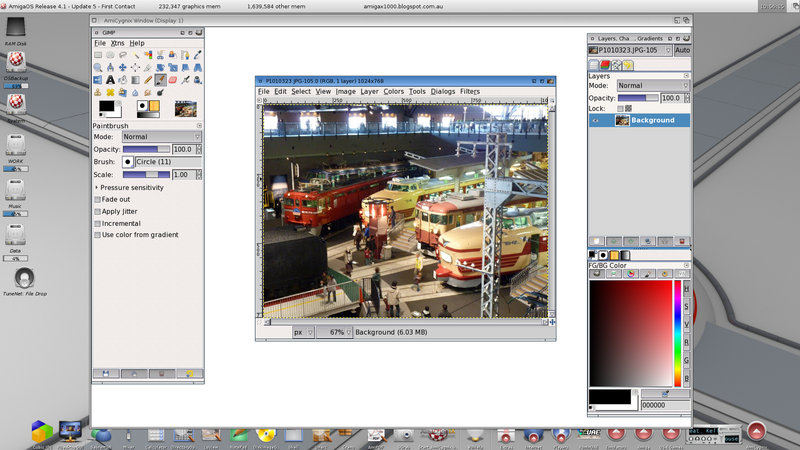 Gimp takes around 15 seconds and xmahjongg and gnumeric take 5 seconds to launch on the X1000. Now, as mentioned earlier, I wanted to show you how to make standalone launch scripts for your other AmiCygnix applications which don't yet have a standalone launcher. Let's create a standalone launcher for Gimp, which does not as yet have a standalone launcher script. We will do this by copying an existing standalone script and modifying it as needed for Gimp. 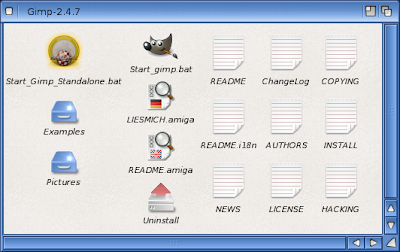 I will assume at a minimum that you have already installed AmiCygnix-base v1.1, AmiCygnix-tools, Gimp 2.4.7 and Homebank 4.4. All are available on os4depot.net. 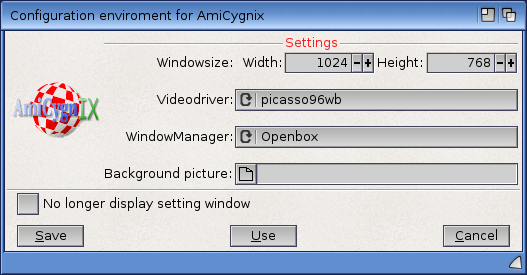 If you need help with the AmiCygnix installation I have already written a full step-by-step how-to for installing it in my AmiCygnix blog post here! 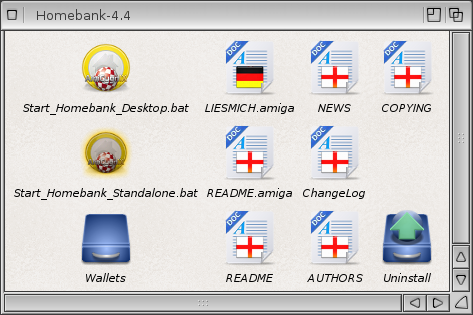 So, first we should browse to the Homebank-4.4 folder we looked at earlier (located in Work:Amicygnix/Software/Homebank-4.4 for me). If it looks like the screen shot above then Save the script and Close Notepad. Now it's time to try it out! 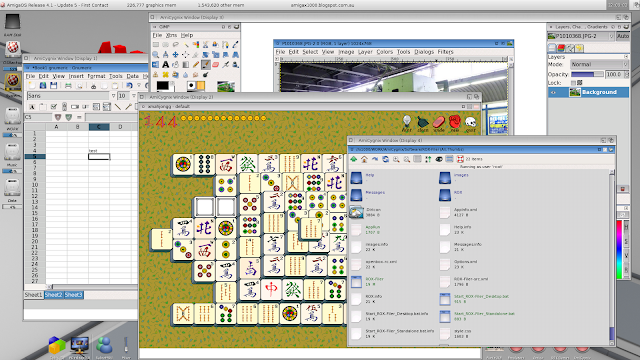 You can do the same duplication and editing process for other AmiCygnix programs without a standalone script, like xMahjongg, Gnumeric, and so on! I don't want to get into the dock functionality and configuration in this entry but I will cover the configuration of the dock in a later blog entry! I hope (if you haven't already) that you now want to try out AmiCygnix applications in standalone mode on your X1000! Thanks a lot for the basic AmiCygnix guide! Thanks for this amazing article. I myself was comming a long way but Gimp did not work. I'm not quite sure why I could not start gimp decent (none vindows manager) but after having converted my home bank script for a gimp script, it worked as it should. 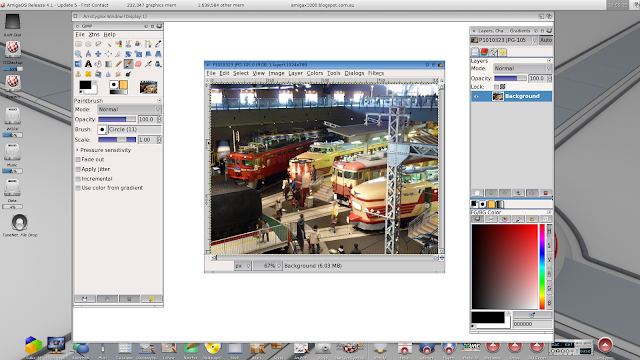 For me it is almost as large to run Gimp in worbench as being able to run Timber Wolf (firefox) in workbench. Also, starting a program in it's own window (without a Desktop Manager) seems to roughly halve the time taken to start, which is good.